other third parties with your consent or direction to do so. Please note that these third parties may be in other countries where the laws on processing personal information may be less stringent than in your country. We have public blogs on our Website. Any information you include in a comment on our blog may be read, collected, and used by anyone. If your Personal Information appears on our blogs and you want it removed, contact us at support@timothycottphoto.com or click the “unsubscribe” link found at the bottom of every email. If you do not want to receive communication from us in the future, please let us know by sending us e-mail at support@timothycottphoto.com. If you supply us with your postal address online you will only receive the information for which you provided us your address. The GDPR also applies to the merchants and partners of Art Storefronts, including Timothy Cott Photography, who operate in the EU/EEA (European Union/European Economic Area) or Switzerland and offer goods or services to residents of the EU/EEA or Switzerland. While Art Storefronts is performing action to be compliant with GDPR, and to provide its merchants with tools to help its merchants comply, each merchant is ultimately responsible for ensuring that their business complies with the laws of the jurisdictions in which they operate or have buyers. Using Art Storefronts does not guarantee that a merchant or partner complies with GDPR. If you have any questions about this Privacy Statement, the practices or concerns of this site, or feel that the site is not following its said policy, please contact us at: support@timothycottphoto.com. We shall inform an individual of the purpose for which we collect and use their Personal Data and the types of third parties to which our Company discloses or may disclose that Personal Data. Our Company shall provide the individual with the choice and means for limiting the use and disclosure of their Personal Data. Notice will be provided in clear and conspicuous language when individuals are first asked to provide Personal Data to our Company, or as soon as practicable thereafter, and in any event before our Company uses or discloses the Personal Data for a purpose other than for which it was originally collected. Art Storefronts may be required to disclose Personal Data in response to lawful request by public authorities, including to meet national security or law enforcement requirements. Individuals have the opportunity to choose (opt out) whether their Personal Data is (1) to be disclosed to a non-Agent third party or (2) to be used for a purpose other than the purpose for which it was originally collected or subsequently authorized by the individual by contacting our privacy officer via email at privacy@artstorefronts.com. Agents, technology vendors and/or contractors of Art Storefronts or its affiliates may have access to an individual’s Personal Data on a need to know basis for the purpose of performing services on behalf of Art Storefronts or providing or enabling elements of the services. All such agents, technology vendors and contractors who have access to such information are contractually required to keep the information confidential and not use it for any other purpose than to carry out the services they are performing or as otherwise required by law. 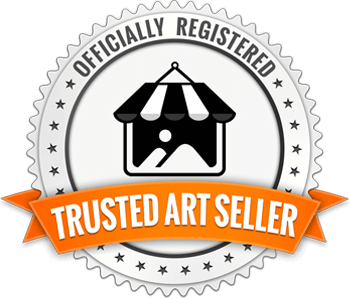 Art Storefronts requires any third party agent to notify us in the event that it makes a determination that it can not longer meet its obligation to provide the same level of protection as is required by the Privacy Shield principals. Unless we prove that we are not responsible for the event giving rise to the damage. Art Storefronts recognizes its responsibility and potential liability for onward transfers. Data Security.​ We shall take reasonable steps to protect the Personal Data from loss, misuse and unauthorized access, disclosure, alteration and destruction. Our Company has put in place appropriate physical, electronic and managerial procedures to safeguard and secure the Personal Data from loss, misuse, unauthorized access or disclosure, alteration or destruction. 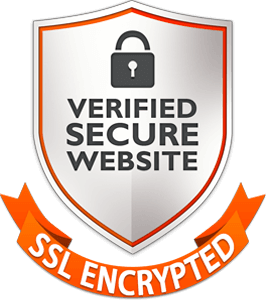 However, our Company cannot guarantee the security of Personal Data on or transmitted via the Internet. Data Integrity​ and Purpose Limitation.​ We shall only process Personal Data in a way that is compatible with and relevant for the purpose for which it was collected or authorized by the individual. To the extent necessary for those purposes, our Company shall take reasonable steps to ensure that Personal Data is accurate, complete, current and reliable for its intended use. Access and Recourse.​ We acknowledge the individual’s right to access their Personal Data. We shall allow an individual access to their Personal Data and allow the individual the opportunity to correct, amend or delete inaccurate information, except where the burden or expense of providing access would be disproportionate to the risks to the privacy of the individual in the case in question or where the rights of persons other than the individual would be violated. Individuals may contact our Privacy Officer via email to request access. Human Resources Data​. Art Storefronts would generally not collect human resources data. If there was reason to collect such information and there was a complaint it would be addressed within a timely period. If your complaint is not satisfactorily addressed by Art Storefronts, and your inquiry or complaint involves human resource data, you may have your complaint considered by an independent recourse mechanism: for EU/EEA Data Subjects, a panel established by the EU data protection authorities (“DPA Panel”), and for Swiss Data Subjects, the Swiss Federal Data Protection and Information Commissioner (“FDPIC”). To do so, you should contact the state or national data protection or labor authority in the jurisdiction where you work. Art Storefronts agrees to cooperate with the relevant national DPAs and to comply with the decisions of the DPA Panel and the FDPIC. The services of EU DPAs are provided at no cost to you.